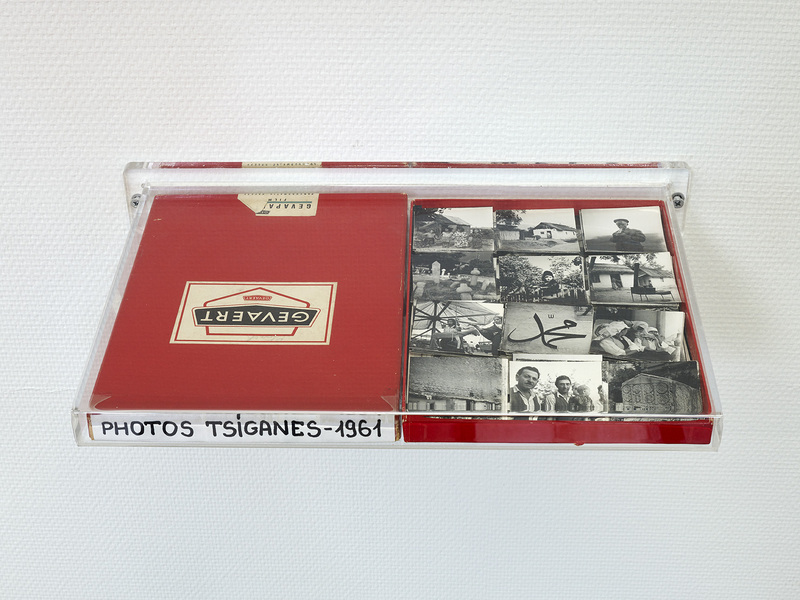 Vincent Meessen, Words of the Sons of Caïn (After Henri Storck), display with plexiglass, archive boxes, book pages and photographs, 2015. Courtesy of the artist and Fonds Henri Storck. Vincent Meessen was invited to take part in the group exhibition Atopolis, proposed by the WIELS contemporary art centre in Brussels. The show takes place in Mons throughout the summer as part of the Mons 2015 European Capital of Culture program. Atopolis will present a group of artists fascinated by the phenomena of circulation, exchange and transfer of artistic cultures and practices. The title alludes to the ideas of Edouard Glissant, an influential commentator on cultural hybridity, who long ago began to argue in favour of interconnected and egalitarian relations between human beings, between the community and nature, between the animate and inanimate world, and between the imaginary, the symbolic and the real. For Atopolis, Vincent Meessen has produced two new works Words from the Sons of Caïn and Images of the Sons of Caïn in which he considers Mons, a city he once lived in, in terms of ‘passage’. He highlights the forgotten historical record that the city was the first in western Europe to be visited by a large community of Gypsies in 1421. Three boxes reveal the very recent discovery of never exhibited or published photographs of the Romani people. They were made in Eastern Europe in 1961 by the famous belgian filmmaker Henri Storck, co-author with Joris Ivens of the seminal film Misère au Borinage (1933) - a film that marked the identity of the region abroad for decades to come. Facing the boxes are presented Words from the Sons of Caïn, the reframed pages of a book by Alice Becker-Ho that traces the Romani origin of certain slang words, some of which have become part of everyday language (in French : vioc, tune, bistro, drogue, ...). The chosen words point to an Indo-European “creolisation" in the sixteenth century and were spread throughout Europe by tramps and beggars. The etymological reconstruction of the words is doubled by a constructive display of the elementary shapes (bar, curve, line, ...) that make up the letters of the font Belgica. Belgica is a collective, open source and shared typeface, developed by the artist in collaboration with the typographer Pierre Huyghebaert and with all future users of this nomadic and unfixed font. Meessen and Huyghebaert will further develop this collaborative project during a residency at FLACC in Genk next autumn. 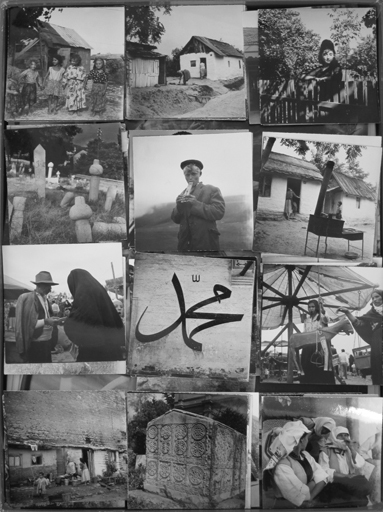 Saâdane Afif, Nevin Aladağ, Francis Alÿs, El Anatsui, Danai Anesiadou, Yto Barrada, Walead Beshty, Huma Bhabha, Vincen Beeckman, Vlassis Caniaris, Abraham Cruzvillegas, Meschac Gaba, Jef Geys, Thomas Hirschhorn, Kapwani Kiwanga, David Medalla, Vincent Meessen, Adrian Melis, Benoit Platéus, Walter Swennen, Diego Tonus, Lawrence Weiner and Jack Whitten.